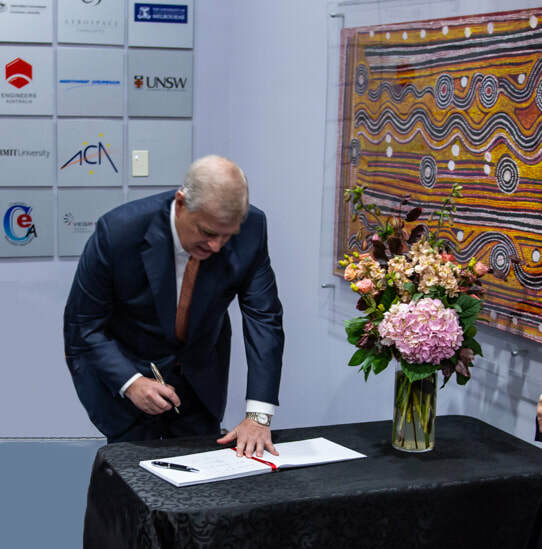 On Wednesday, 21 November, His Royal Highness, the Duke of York, visited Strathmore Secondary College and the Victorian Space Science Education Centre (VSSEC). As a member of the Royal Family, he focuses on three areas: education and skills, entrepreneurship and science, technology and engineering. He believes in encouraging young people to pursue Science, Technology, Engineering, Arts and Mathematics (STEAM) subjects and is the patron of Inspiring Digital Enterprise Award (iDEA), a program that helps to develop digital, enterprise and employability skills. After completing a series of online challenges and events, participants are able to win career-enhancing badges, unlock new opportunities and, ultimately, gain industry-recognised awards that are effective in making them stand out from the crowd. iDEA is open to anyone who wants to develop these skills. His Royal Highness and entourage were welcomed to Strathmore Secondary College and VSSEC by Jillian English (Principal, Strathmore Secondary College), Michael Pakakis (Director, VSSEC) and Katey Haire (Deputy Secretary, Early Childhood and School Education Group, Victorian Department of Education and Training) who represented Gill Callister (Secretary, Victorian Department of Education and Training). On arrival, the party watched an educator run a Tickle My Droid program for a group of Year 5/6 students from Strathmore North Primary School before moving to the Board Room. There, Michael Pakakis gave a brief overview of the Centre and the day’s program. Educational issues discussed included different ways of assessing student knowledge, methods of engaging students in mathematics learning, and the advantages of scenario-based learning. Mission to Mars and Robotic Mission to Mars were being run on the day; the party was invited onto the Mars surface and into the Massimo Room. 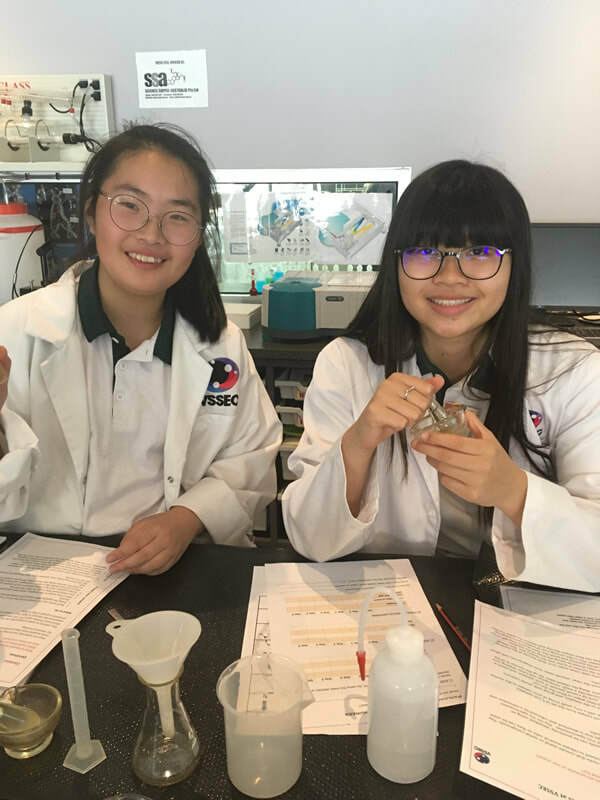 Students from Strathmore Secondary College, under the guidance of Dr Chris Kladis, were in the Chemistry Lab analysing a sample of ethanol, which they had previously manufactured from canola. 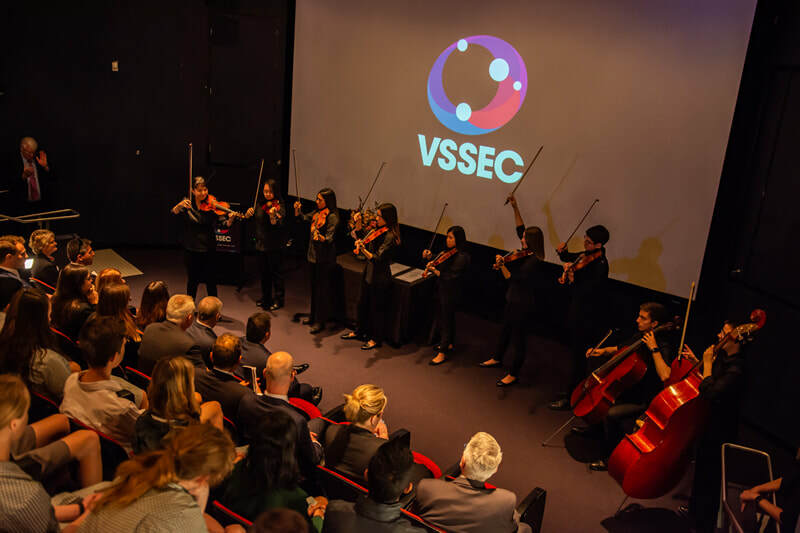 The visit concluded in the VSSEC theatre, during which the senior string ensemble, the Palm Court Strings, played the Prelude from Edvard Grieg’s The Holberg Suite. 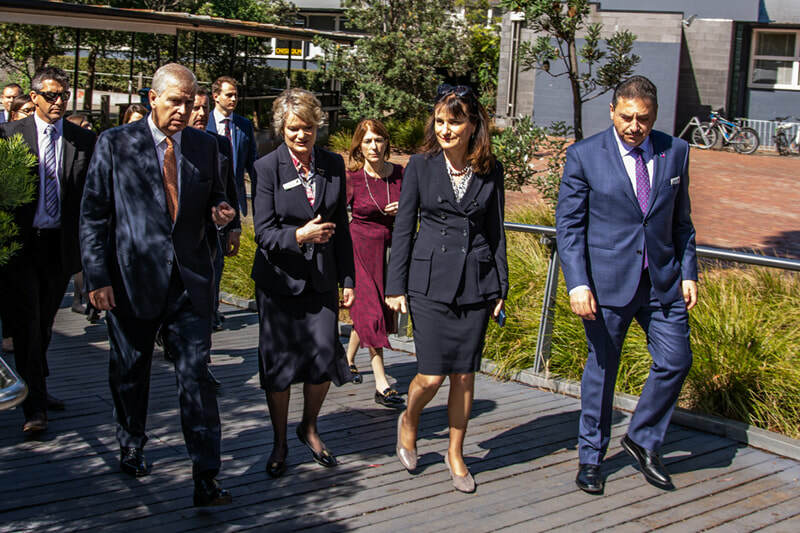 Principal Jillian English welcomed His Royal Highness, Duke of York to the school and the centre. 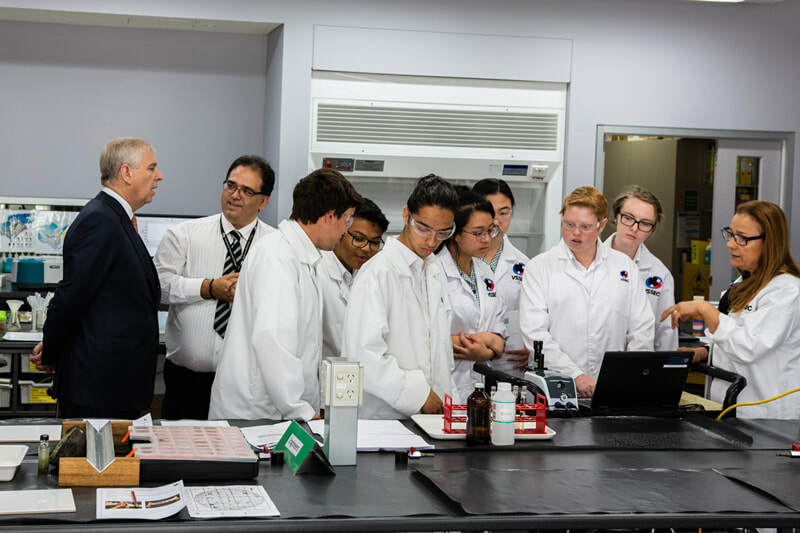 Eight students were presented with Bronze iDEA certificates and the three students who achieved Silver iDEA were the first in the world to receive their certificates from His Royal Highness. 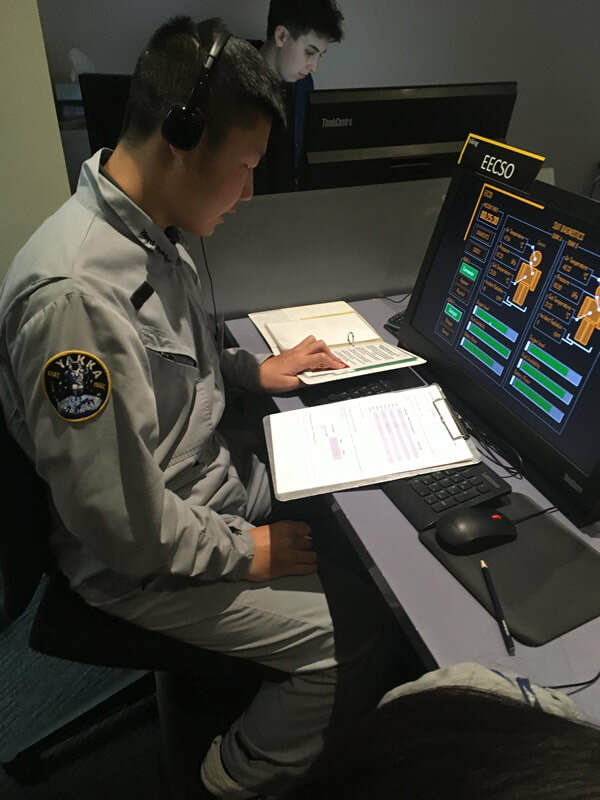 Following these presentations, he addressed the audience, advising the students to make the best of VSSEC as it will build the skills they need for the future. 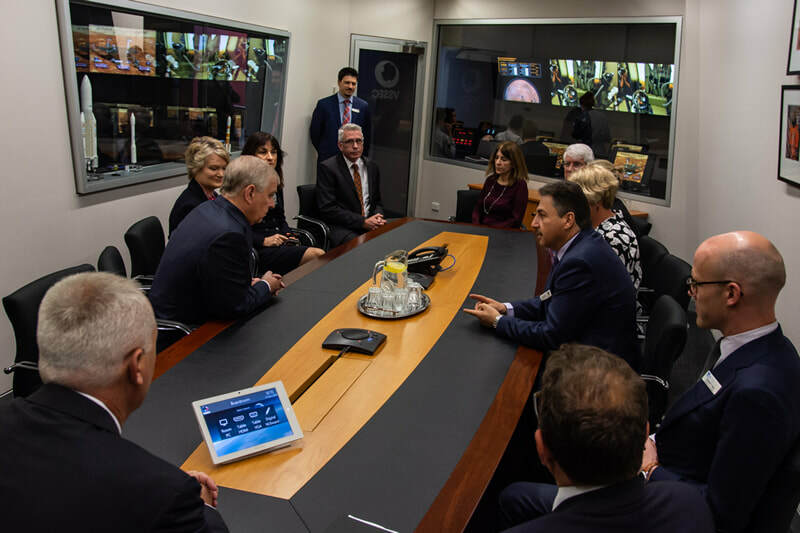 His Royal Highness emphasised the fact that 48% of the jobs now in existence will be transformed by the time they enter the work force and they will need to be appropriately prepared. On behalf of the College we would like to congratulate the Class of 2018 on completing their VCE exams. Well done on all of your hard work and effort this year. Go and enjoy a well deserved celebration and rest! Please make sure your party responsibly and look after each other! On Monday 17th of December there will be an awards ceremony to celebrate the ATAR and study score success. The team were on the bus and starting the long trek across town by 800am. Conditions were ideal sunny, warm and not much wind. Our first pool opponent, Montmorency Secondary College, put bat on ball to put some pressure on our defence as they scored 5 runs over 3 innings. Offensively Strathmore’s hitters put 5 runs across the plate in each innings to win 15-5. Zack Graham and Jacob Trani led the hitters with 2 each. Round 2 was a decisive win 16-2 over Merbein. Ethan Sakal pitched well for the win. Josh Dawson, Zac and Ethan had 3 extra base hits each to do most of the damage with the bat. The undefeated Myrtleford contained our hitters for the first half of our Round 3 clash to lead 2-0 after 2 innings. Zac pitched the last 2 innings impressively to shut them down while our hitters ran amok with the bat. Home runs to Josh Dawson and Sam Duggan along with hits to Mitch Cattlin and Ben D’Amato and Tom McWiliam saw the score finish at 10-2. Our final opponent Dromana had dominated their pool but Tim Liersch contained their hitters for 3 innings conceding only 3 runs. Good defensive play, especially from Marcus Andropof at short stop, were good support for Tim. We took advantage of some fast and erratic pitching early to score 3 runs. A good hit from Sam scored Tim to give us a 4-3 lead going into the last innings. Our relief pitcher fought hard but they put 3 runs on to lead 6-4. Marcus started the last innings with a hit to left field, but their defence held firm to keep us scoreless and a 4-6 loss. Overall good team play, with solid pitching performances, were the highlights of another successful State final. Standouts were the catching of Josh Dawson, in all games, the consistent hitting of Zac Graham and Sam Duggan, and the dominant pitching of Tim Liersch and relief of Ethan and Zac. The defensive support was excellent all day. Base running let us down, especially in the final where our lack of experience and concentration gave them some crucial outs. A good day with great support from Brodie Wise, our assistant coach. A group of 9 boys (down from 12) made their way to the State final venue at Cheltenham. A slow start in game 1 against Glen Eira saw us come home strongly but go down 5-10. Finnley Watson tried hard on the mound and Alex Prystupa was great behind the mask as catcher but few too many walks and a couple of errors mount up. Offensively Alex 2 and Taylor Moxon 3 were outstanding with the bat. An outstanding defensive effort saw Strathmore hold Vermont to 2 runs over 4 innings while scoring 7 of their own. Hector Wilson warmed up to his task on the mound. Hits to Alex, Taylor, Hector, Marcus Maurici and Sea Sinlapasit led to our runs. Our round 3 game against Hazel Glen College wasn’t the prettiest defensively as for 2 innings we pitched poorly and made fielding errors to see the game tied at 10-10 going into the last innings. We score 1 with hits and walks to Lav Bujak, Billy Smyth, Alex and Taylor. Sea takes over the pitching to hold them scoreless with a great diving catch from Lav to finish the game and a 11-10 win! We miss qualifying for the final on percentage (equivalent of 1 run difference) and a possible rematch with Maribyrnong. However, the boys played with determination and showed improvement over their matches. Excellent leadership from Alex Prystupa behind the plate and great hitting from Taylor Moxon in all games. With more work and practice, some recruiting, and an enthusiastic approach next year looks promising. 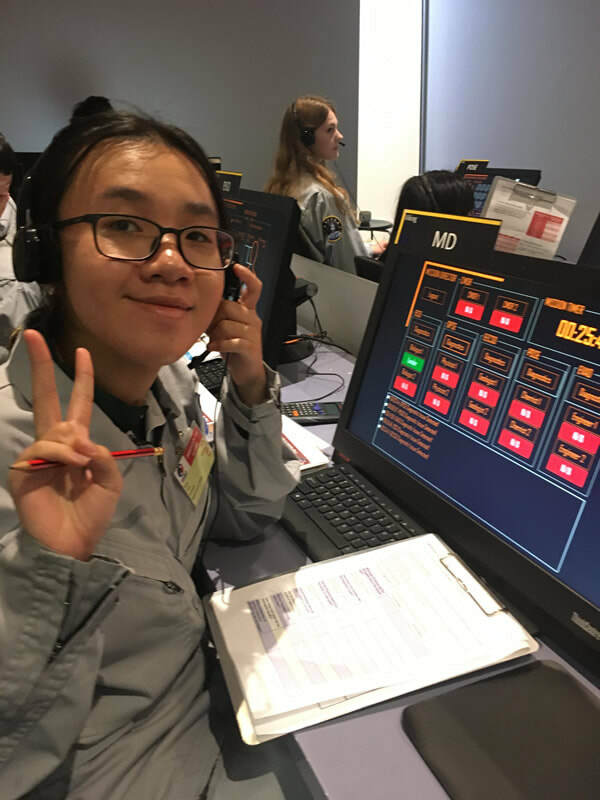 On Thursday 15th November the Strathmore English Language Centre students, along with four study abroad students, went to VSSEC to participate in the Mission to Mars program. What a day! What an experience! 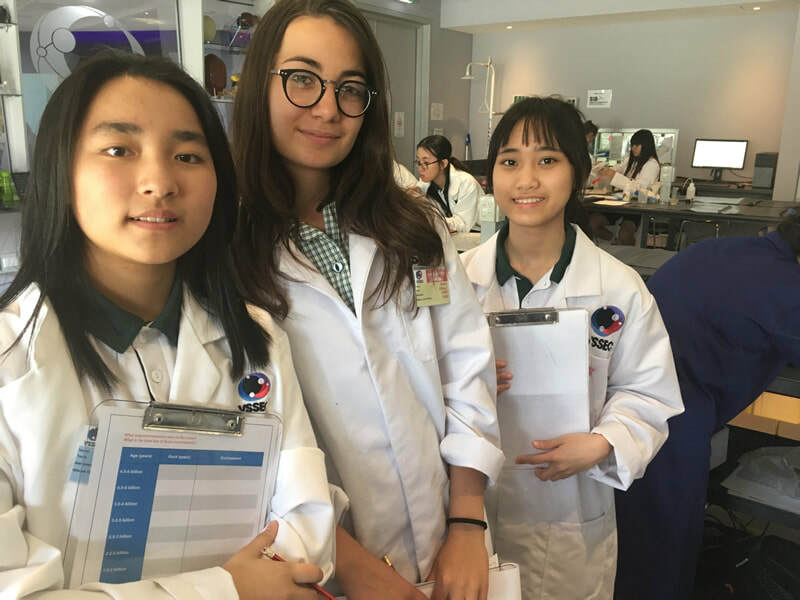 I went to VSSEC (Victorian Space Science Education Center) on Thursday 15th November with Ms. Karatzikos, my classmates and also with four study abroad students. It was such a nice day and the weather was good. 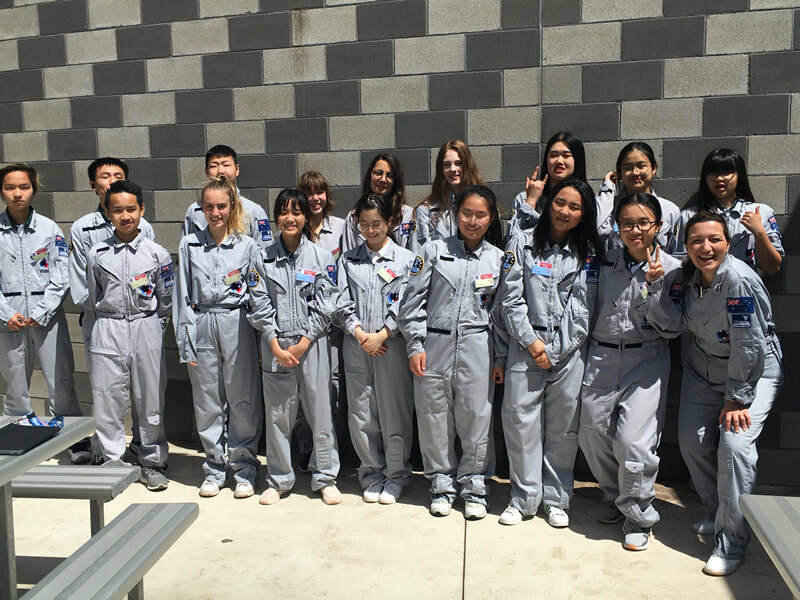 We were all ready to finish our mission on Mars. As I knew, no one had gone to Mars before so we all had a huge responsibility so we had to do well or we would die on Mars. We had two teams, Viking and Mariner. I belonged to the Viking team and we went to Mars first. The other group were Mission control. My astronaut job was Geochemist and my purpose was to find evidence of water because once we find water we can be sure that we once had life on Mars. During the process, I always used the Interphone to communicate with PDSE (Payload Deployment System Engineer). She assisted me to set up and use the equipment. She also recorded all data and locations. By the way, being a mission controller you have an individual computer. When I finished my mission successfully, we had a little break. After that, it was my time to be Mission controller and my job was DPSE (Data Processing System Engineer). I had to help Geophysicist to set up seismic equipment and record three types of data. For example location, areas of height radioactivity and thermal survey. During that time, I solved many problems and I felt my brain was going to explode. The mission commander also helped me to solve the problems. After all the coordinating, we collected our work, went towards the laboratory, and started with our experiment. 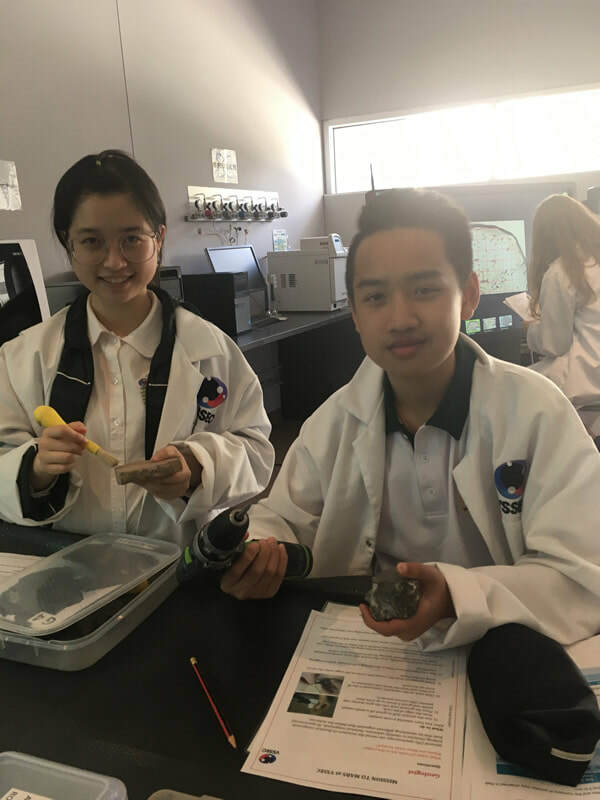 We had been assigned to different jobs such as to investigative rocks on Mars or analyse the sample collected on Mars. In conclusion, being an astronaut was not what I expected it to be. I always thought it would be simple and all you had to do was put on a spacesuit, but I was very wrong. They undertake years of strict training. They looks awesome during their mission but few people know what happens behind the scene. 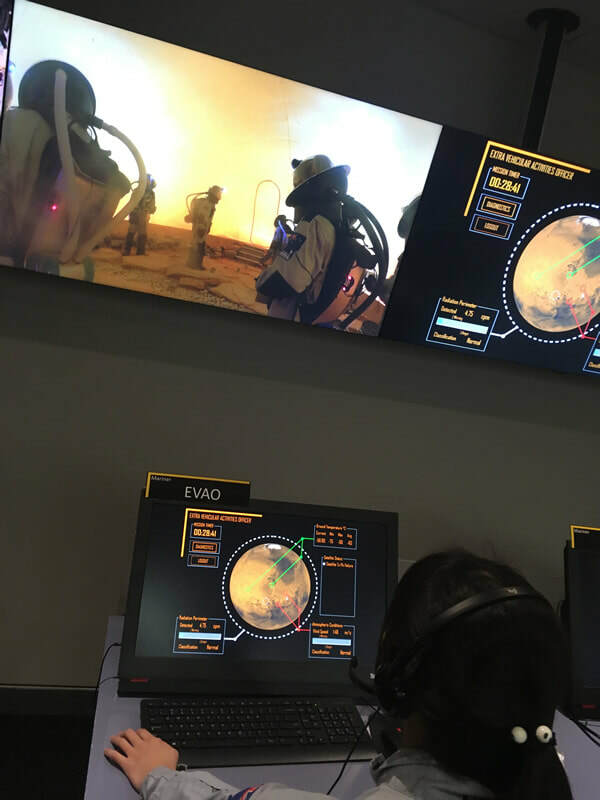 It was amazing to be on Mars and incredible to have finished a mission. I learnt a lot at VSSEC! What a wonderful day! 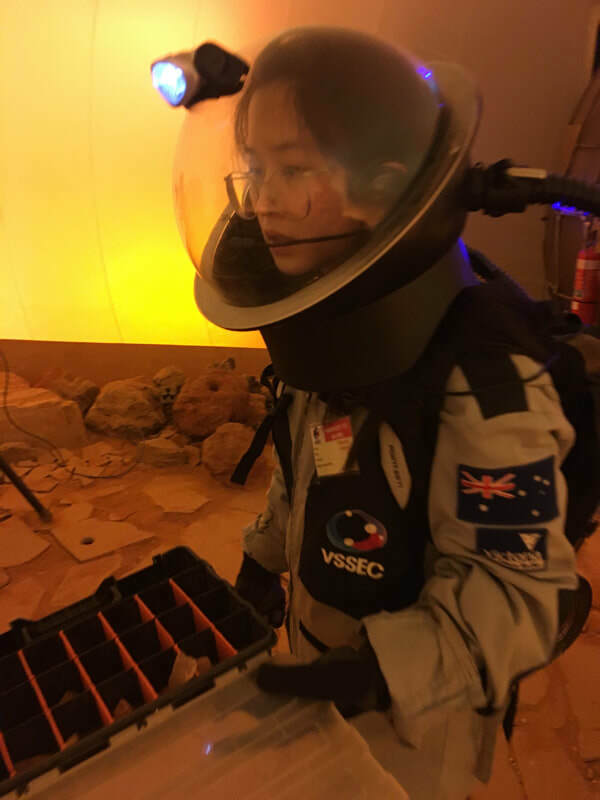 The staff member of Victorian Space Science Education Centre told me yesterday, “You are the first people to board Mars”. Huh! I believed it! I am so proud of myself, you, who is reading this passage should do the same! Everyone in this world should remember my name, maybe by the aliens too, if they exist. Let the great me tell what I did yesterday. About half past nine, we had already changed into our astronaut suit. My job was the Biologist and I could not wait to get into the rocket. I thought the rocket would be far away from us in a big, wide space, but the truth was, we had only walked less than one minute inside VSSEC to get into the rocket, I didn’t even see what it looked like. Oh my goodness! What a high-tech rocket .We just had to press the green button and we only needed about 10 seconds to fly for 57,800,000 km. How great Victoria was! 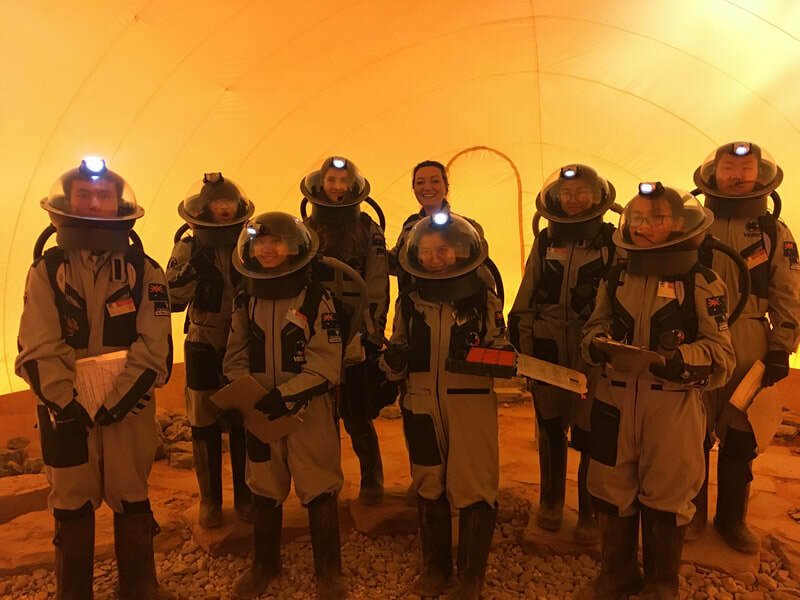 We landed on Mars, ummm! I remembered Mars’ surface area is 144.8 million square kilometer but now, in my view, Mars was only about 15 meters away. I started my mission as a Geological biologist. My mission was to find stones and determine which river system they belonged to. I knew a small step of me is a big step for humankind, so I worked very hard. My first mission was over and after a break; I needed to work on my second mission. My job was EECSO and I needed to support my astronaut to finish his work. Both of us were very careful and serious, because we were afraid that a tiny mistake would lead to the destruction of humankind. As predicted, we were the first team to finish our work. What a relief! I felt very hungry and lost my mind. I started typing on my keyboard, “I AM HUNGRY, WHERE IS OUR LUNCH?” Then everybody laughed because the big screen was showing my screen. Wow! How interesting! Then the girl who sat on the right of me typed, “I AM THE MOST BEAUTIFUL GIRL IN THE WORLD!” Staff turned off our monitors while we were laughing. When this mission was over, everybody rushed out and by now, we were starving! Lunchtime was beautiful but short. Thanks Ms. Di Battista for our delicious meat pie, chips and lamingtons. 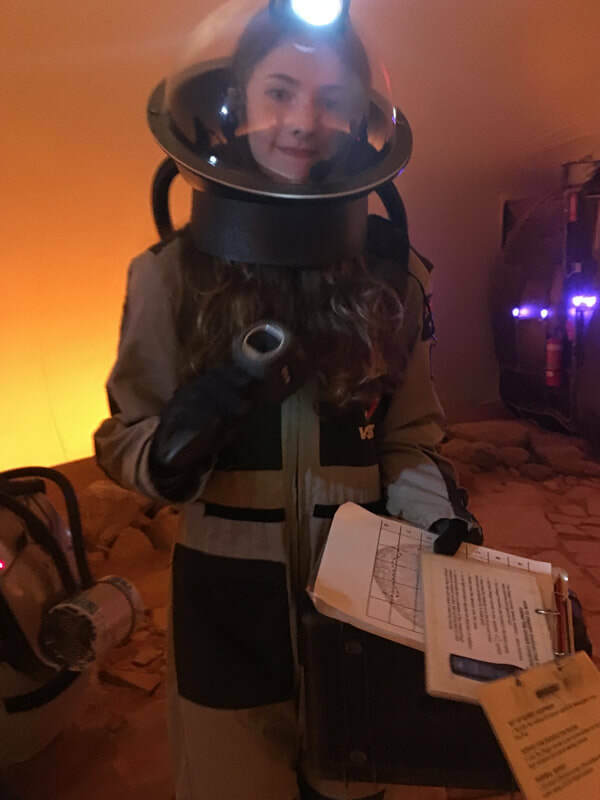 Then we had our last mission - to be a space scientist. I and another Biologist in the same group went outside to work. What a legend story, I experienced so much in one day. How difficult the job of the astronaut is. Nevertheless, I succeeded! Be proud of me! ​The 28th annual Christmas Carols and Street Party in Napier Park will be held on Saturday 15th December at 7.30 pm. Come along and celebrate the festive season, with friends, family and neighbours. Come early, bring a torch, chair, food and drink and meet on the Noble Avenue side of Napier Park. Strathmore Rotary will be providing a sausage sizzle from 6 pm. The street will be closed to traffic from 5 pm.